I wasn’t prepared for the impact of my father’s cancer. The story of my father’s cancer is now our family story. Our story begins when my father was diagnosed with Stage IV base of the tongue cancer and continues even now that he is gone. It is a story I continue to tell, so that other families have the knowledge and the power to help each other. Our story is a seven year journey of my father living with chronic pain, losing his ability to eat and drink, spending the last four years of his life surviving solely on a peg tube with severe nerve damage. Nerve damage so severe that his entire body would twitch and nothing could help him, nothing could alleviate his pain. Nerve damage so severe I would walk into my parent’s home and hear my father screaming in pain rendering us all helpless. Nerve damage so severe that my father was housebound the last two years of his life, missing countless family moments. My mother was my father’s primary caregiver throughout his entire illness, and she did this with unconditional love, dignity and grace. If love could have saved my father he would be here right now. Even as I am writing this, I am not sure how my mother was my father’s sole caregiver for so long. My mother is the definition of strength and courage while surrounded by heartbreak and human suffering. Although my father had a strong faith and a great attitude, the effects from his treatments could not be stopped. Slowly cancer stole pieces of my father until he was no longer able to do the most basic tasks. Eventually my parents needed help and the reality was terrifying. For my father and the rest of the family it was difficult to admit that outside help was something we needed. Unfortunately families like mine, families in need of prolonged healthcare face a dilemma. They either have to be poor enough to qualify for Medicaid or rich enough to pay the costs alone. Paying roughly $80,000 out of pocket, the average annual cost for a shared room at a skilled nursing facility, was something our family could not afford. My father spent his entire life working and saving, a nursing home would have wiped my parents out. My father was on hospice the last four months of his life. Hospice for my Dad was someone coming to the home a few hours during the day to check on him. But the need for care was at night when my mother desperately needed rest. As my father’s health continued to decline, he fell one evening while my parents were alone; his peg tube came out twice. Each time hospice was called and a nurse came rushing to the home in the middle of the night. I am not writing this saying my father should have been put into a nursing home – at that stage of my father’s illness my parents did not want that. However, the reality of a live-in aide or just having care come in for longer stays was desperately needed. There are ways to alleviate the incredible costs of long term care. There are ways to plan for long term care. Our family never thought we would need to think of the unthinkable, one minute my father was newly retired ready to enjoy golf and vacations with my mother and the next he was diagnosed with cancer. We naively thought after a few radiation treatments, he would be fine. We were wrong. My father’s radiation treatments slowly robbed him of quality of life, eventually leaving him dependent on my mother. It was a heartbreaking journey, but one that needs to be told so that other families are aware that they have options. Being prepared for the role of a caregiver means taking numerous different factors into consideration. You need to ask yourself hard questions about how your availability and care-giving capabilities will affect your ability to provide effective care for the patient AND yourself. Am I financially prepared for the extra costs of caregiving? Am I really capable of taking care of my loved one all by myself? Do I need to hire outside help or consider assisted living? Do I have the resources I’m going to need? How will caregiving affect my physical and mental health? Will I be able to cut back on work responsibilities during those times when I need to care for my parent? The life of a caregiver is not easy. I watched my mother selflessly care for my father. She spent numerous sleepless nights fearful that my very weak father would fall if he needed to get up and use the bathroom. Her days would be spent caring for my very sick, frail father. Although he had hospice care the last 4 months of his life, that was only for a few hours during the week. It was my mother who was my father’s primary caregiver. It was my mother who dedicated her life to taking care of my father. Millions of U.S. families will face the same reality my family faced. When your loved one needs long term care how will you pay for it? It’s a reality that we should consider and plan for. As Valentine’s Day approaches, you start thinking about the love in your life. From your new additions, to graduating college students, to aging parents and everyone in between, it’s a perfect time to take a moment to celebrate the special people you have cultivated loving relationships with. You may choose to send them a nice card, or flowers, or set up a nice dinner. You can squeeze them a little tighter and let them know how you feel. But how are you protecting your family? If something were to happen to you what would happen to your family? Would they have to worry about money? What would happen to their dreams about the future? Could your family live comfortably without your income? These questions may make you a bit uncomfortable, but the answers to these questions are extremely important to you and your family members. Life insurance eases your worry about your family’s financial future and gives you more time to embrace the present. Life insurance helps protect your loved ones in case you die early or unexpectedly. Life insurance is more than a number or income replacement; it’s about planning for the future and making sure your legacy lives on. Speaking to your financial professional will help you determine your life insurance needs and how you can provide the ultimate gift of love to your family. Celebrate love by offering protection and peace of mind to those you hold most dear. People want to help their family members in need of care, but also recognize the associated challenges and sacrifices. 44% said they would feel overwhelmed if they suddenly became a caregiver. People are willing to help with personal needs and activities of daily living, but less comfortable with larger sacrifices like money and space. 79% said they could help with caregiving and feeding, and 75% said they could help with personal needs, such as cleaning and transportation. But only 35% said they would and could quit their jobs to provide care, and just 35% said they could and would pay to put loved ones in a long-term care facility. Middle-aged Americans often face the predicament of multigenerational caregiving, ‘sandwiched’ between raising children and caring for aging parents. Lincoln found that the GenX survey participants were more likely than boomers or millennials to say they could identify with almost every possible emotional reaction to caregiving that the survey form listed to include compassion and anxiety. In the event of their own Long-Term Care needs, people generally do not have a solid plan in place. Of those age 65+ with children: 30% do not want their children to be their primary caregiver, but have not arranged other plans; 20% are not sure of their plans. Your clients need to be educated on the potential financial risks of needing Long-Term Care in retirement and need to know that there are solutions! It is imperative that you have these conversations. Did I remember to add my youngest child as beneficiary to my insurance policy? I just got divorced and need to remove my spouse as beneficiary. I need to add my new grandchild as a contingent beneficiary. Of course there are countless other scenarios but you get the idea. What I think when I hear beneficiary review is Opportunity! Are all assets going to the desired person(s)? In the desired manner? Have “worst case” contingencies been considered and covered? Is the client sure? After a thorough review of Zenith Marketing Group’s Beneficiary Review Producer Guide, you should be capable of helping clients answer these questions. Life insurance/other assets payable to the “estate of the insured.” Depending upon the client’s factual situation, this may not be an efficient designation. Proceeds would be included in the probate estate of the insured; thus, they would be subject to probate expenses before being distributed to the estate beneficiaries. Insured has divorced since insurance was purchased. Proceeds may still be payable to a former spouse. Re-marriage. The same issues as divorce emerge and re-marriage may create others. For example, who are the contingent beneficiaries on a life policy? The insured’s children, children of the current marriage, or someone else? Be sure that the intended parties are designated. Planning if the beneficiary predeceases the insured. This is why a contingent beneficiary is strongly recommended in all situations. If no contingent beneficiary has been named it is likely that proceeds would become payable to the insured’s estate. Testamentary trust is named. A testamentary trust is created by the will upon the death of the insured. Thus, it does not exist until the will has been probated, which may be some length of time. This may cause delay in distributing life insurance proceeds. If the will and trust are outdated and pass assets to unintended parties, this aggravates an already inefficient designation. The clients should seek legal advice with regard to any questions they may have regarding how a trust may be established or how a trust may be applicable to their factual situation. But for you, the producer, the process of collecting data about client assets and their disposition will help you identify insurance shortcomings, and, in many cases, point to the need for a more detailed and separate insurance review and the potential for a new insurance sale. Opportunity. Use the Zenith Beneficiary Review Financial Journal with your clients to collect the data. Do current insurance products continue to meet the client’s needs? Do current products possess the necessary features (for example, a guaranteed death benefit) desired by the client? Are there health insurance gaps or needs which may require remedy? Is there a need which may be filled by annuities, either deferred or immediate? And, are there other individuals within the client’s sphere of influence who could benefit from a beneficiary review, who may also have insurance needs? Answering these questions should lead you to new insurance sales opportunities and the chance to enhance client trust by demonstrating your ability to offer competent and comprehensive life insurance services. 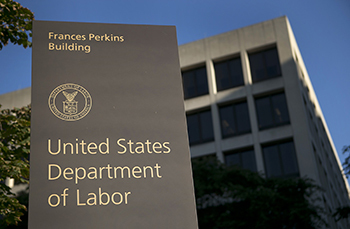 After the furious amount of writing about the Department of Labor’s Fiduciary Rule over the last several months, we recently found ourselves in a lull period following the temporarily revised rule and implementation date of June 10, 2017. The current and provisional status of the Best Interest Contract Exemption (BICE) and Prohibited Transaction Exemption 84-24 (PTE 84-24) are still being discussed and debated, despite the lull. Further, the FULL implementation on January 1, 2018 remains a reality while there are still a number of questions that NEED to be answered by the DOL. There is a bit of reassurance to be found in the DOL’s Request for Information (RFI) published on July 6th. They’re asking the right questions, the questions we’ve all been wondering aloud about since first hearing of the rule. As currently written, one of the biggest issues affecting independent insurance agents is the requirement to use a BICE effective January 1, 2018 to transact qualified Fixed Indexed Annuity (FIA) business, or utilize qualified funds to purchase life insurance. This move away from the PTE 84-24 is problematic because it requires a financial institution to supervise the sale. When drafting the rule, the DOL most likely expected insurance carriers carry this burden, however as we’ve seen, the majority of carriers want no part of that. Without finding an intermediary solution, independent insurance agents will be barred from selling fixed index annuities and life insurance using qualified funds. If the Department provided an exemption for insurance intermediaries to serve as Financial Institutions under the BIC Exemption, would this facilitate advice regarding all types of annuities? Would it facilitate advice to expand the scope of PTE 84-24 to cover all types of annuities after the end of the transition period on January 1, 2018? What are the relative advantages and disadvantages of these two exemption approaches (i.e., expanding the definition of Financial Institution or expanding the types of annuities covered under PTE 84-24)? To what extent would the ongoing availability of PTE 84-24 for specified annuity products, such as fixed indexed annuities, give these products a competitive advantage vis-à-vis other products covered only by the BIC Exemption, such as mutual fund shares? Question 17 boils down to two alternatives. First, should insurance intermediaries (e.g. IMOs and BGAs) be allowed to serve as “financial institutions”, therefore allowing independent insurance agents to use a BICE. This option puts a load of liability on the shoulders of these intermediaries and requires a great deal of regulation and oversight. For those reasons, this option may be attractive to the DOL. Second, should the DOL continue to allow fixed index annuities (and fixed rate and variable annuities) to be included under the PTE 84-24 exemption? This direction would not require financial institutions to supervise independent insurance agents but would be more restrictive on compensation including greater disclosure. There are pros and cons to both of these solutions, and there is no indication at this point how this will be resolved. We now know the DOL is considering the plight of the independent insurance agents that currently use qualified funds in the financial planning process. The DOL is asking the right questions. However this plays out, I guarantee Zenith Marketing Group will have a solution in place to continue the partnership we have enjoyed with the independent insurance agents we work with. We just need the DOL to answer Question 17 first before we tell you how. In a Wall Street Journal OpEd released last night, Labor Department Secretary Alexander Acosta addressed the controversial DOL Fiduciary Rule to be applied to the placement of Qualified funds by stating, “We have carefully considered the record in this case, and the requirements of the Administrative Procedures Act, and have found no principled legal basis to change the June 9th date while we seek input.” However Secretary Acosta stated that the DOL will undertake new rulemaking to revise the current rule prior to full implementation on January 1, 2018. Further, the Labor Department posted a Field Assistance Bulletin last night instituting a temporary enforcement policy. In summary, the Department will not pursue claims against fiduciaries who are “working diligently and in good faith to comply with the fiduciary rule and exemptions…” The full bulletin can be found here. The Department also updated and posted an FAQ section on the EBSA website discussing the transition period. The FAQs can be found here. There appear to be 3 major takeaways at this point: 1) The Department is continuing to seek comments on the Rule and may implement more guidance and/or changes prior to the January 1, 2018 date when full compliance with the rule is scheduled to begin; 2) The industry is receiving “breathing room” in terms of compliance, and good faith efforts to adjust will be received warmly even if mistakes and oversights occur; and 3) Impartial Conduct Standards are here to stay in one form or fashion when dealing with qualified plans and IRAs. Zenith Marketing is fully committed to you and your clients and will continue to work directly with you under the provisions available to continue your ability – and ours – to do business as together we continue to adapt to the Department of Labor’s Fiduciary Rules.